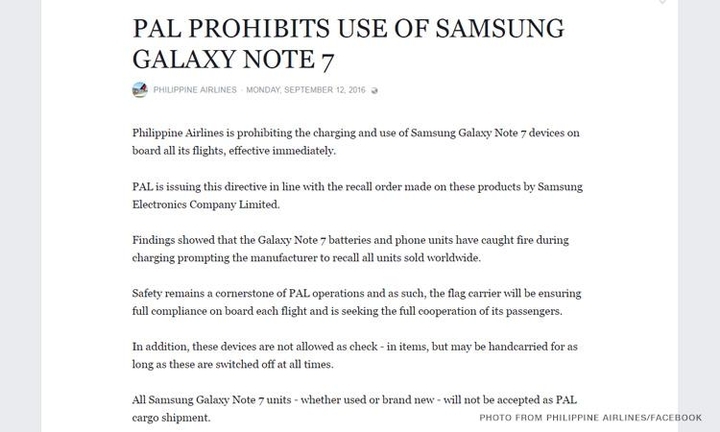 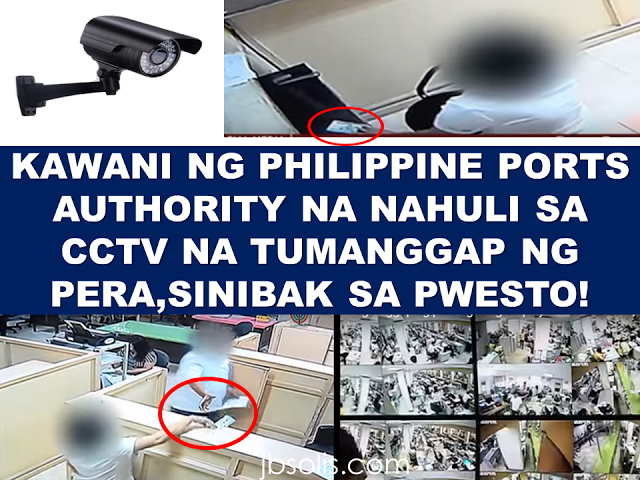 PHILIPPINE Airlines (PAL) is the latest airline company banning the use and charging of Samsung Galaxy Note 7 on all of its flight, both domestic and international. According to PAL's Facebook page, the ban is effective today, September 12. 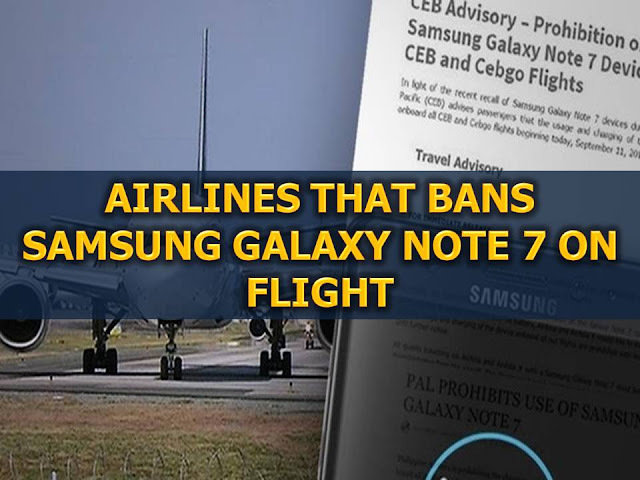 Other airlines also issued Note7 policies stated that the devices are not allowed as check-in items but can be carried abroad the flight as long as they are switched off at all times. 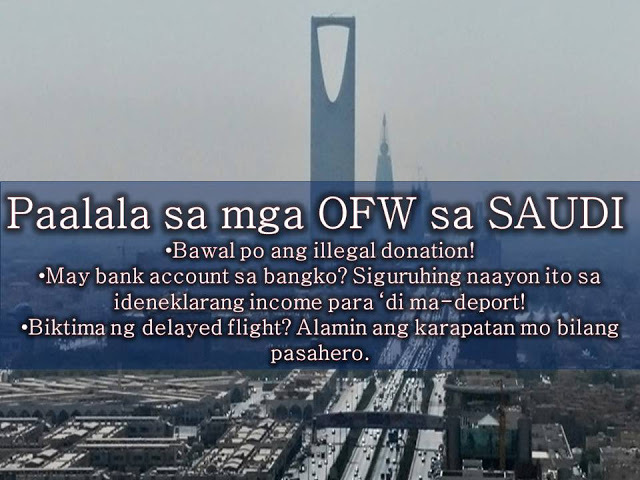 Units will not be accepted as PAL cargo shipment. 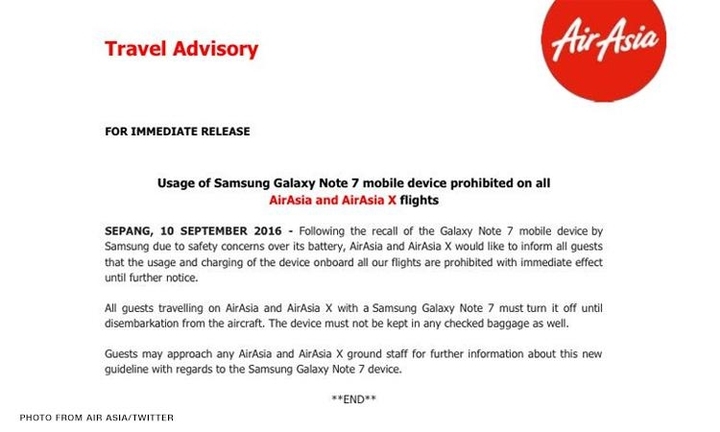 Cebu Pacific and AirAsia already issued bans on Note 7 in all of their flights. Worldwide recall of the product has been implemented by the Korean tech giant, Samsung after batteries of units caught fire during charging. 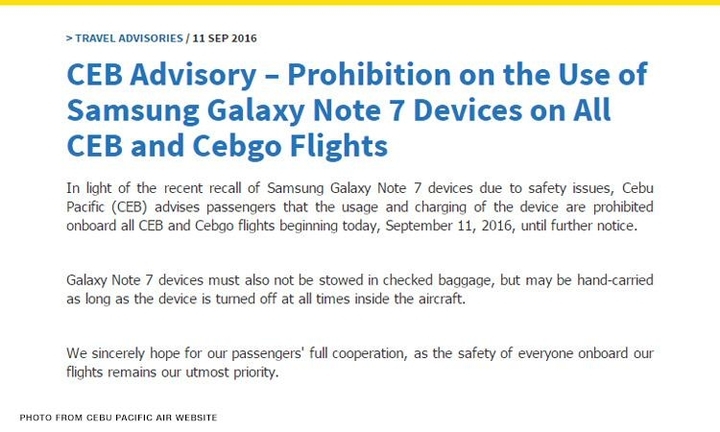 The announcement came after the US Federal Aviation Administration (FAA) issued a warning against the use of the Note 7 on board flights. Some airlines from United States of America, Canada, and other countries already issues advisory and are currently studying the FAA warning.